Lenovo sets < 5000 Rs. Lenovo sets 5000 to 10000 Rs. Lenovo sets < 10000 to 15000 Rs. Lenovo sets < 15000 to 25000 Rs. Lenovo sets > 25000 Rs. 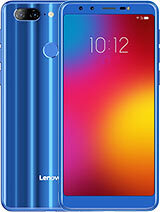 Buy used Lenovo K9 mobile phone online. View used Lenovo K9 mobile phone prices in Pakistan, Lenovo K9 second hand mobile set available for sale by their respective owners. Shop cell phone including Lenovo K9 in Karachi, Lahore, Rawalpindi, Islamabad, Peshawer and other big cities. Great phone Lenovo K9 deals in Pakistani cities, low prices. Shop Lenovo K9 cell phone in new & used condition, very reliable Lenovo K9 deals for all mobile phone lovers. Lenovo K9 phones for you at very reasonable prices in Pakistan. Used nokia, samsung and other brands in good condition. Here are the best latest Lenovo K9 deals. You can try for price negotiation from mobile owner using email or contact number.